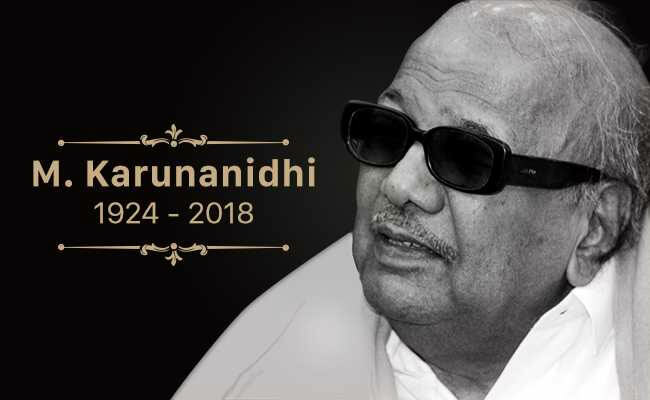 M Karunanidhi Funeral LIVE Updates: Kalaignar Will Rest Near ‘Anna’ at Marina Beach: Dravida Munnetra Kazhagam (DMK) chief M Karunanidhi passed away on Tuesday at the age of 94. Kalaignar, as he was fondly called, breathed his last at 6:10 pm. The Madras High Court, which held a late-night hearing on a plea by DMK’s lawyers seeking permission to bury the leader near Anna Samadhi — the memorial of C N Annadurai — at the Marina, took up the case at 8 am this morning. The EPS government, which sought additional time Tuesday, is opposing the move and has allotted two acres of land Gandhi Mandapam in Guindy, sources told The Indian Express. DMK supporters want Kalaignar buried in this very spot where former Chief Ministers CN Annadurai, MG Ramachandran and J Jayalalithaa have also been laid to rest. Barricades set up on road leading to Anna Samadhi. 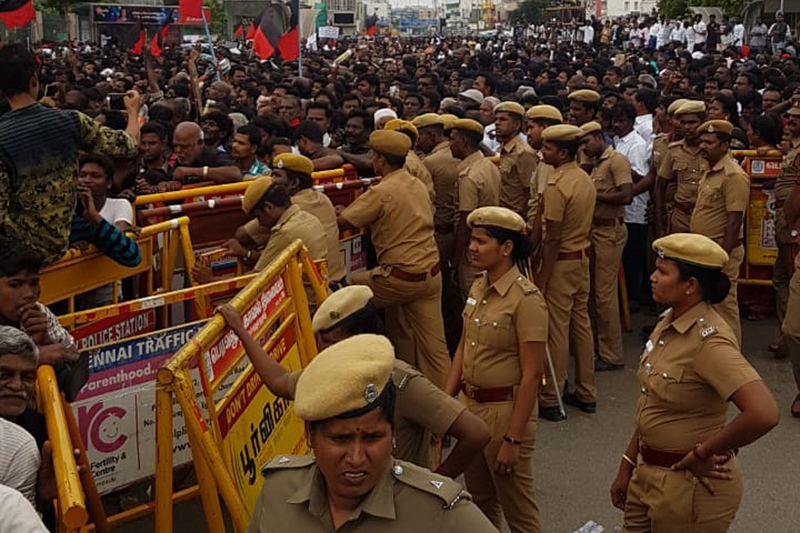 The road leading to Anna Samadhi has been blocked by police, and barricades have been set up to stop supporters and media personnel from entering. PM Modi Meets Stalin and Karunanidhi’s Wife | On the other hand, the Parliament has been adjourned. At Rajaji Hall, PM Modi can be seen holding his hands and bowing to Karunanidhi’s wife, and move on to pay condolences to MK Stalin, son of late DMK chief. Prime Minister Narendra Modi speaks to Dravida Munnetra Kazhagam (DMK) leader and daughter of late M Karunanidhi as Kanimozhi leads him to the area where mortal remains of late leader are kept. PM Modi lays a wreath and fold his hands while paying tribute. PM Modi Pays Last Respects to Karunanidhi | Prime Minister arrives at Rajaji Hall to pay last respects to M Karunanidhi. “The judges have directed what the government has done its discrimination, and the order was in our favour. Its a great relief for us, Its a huge moment for DMK,” DMK lawyer A Saravanan says, adding that Tamil Nadu state lawyer’s arguments were discriminatory. 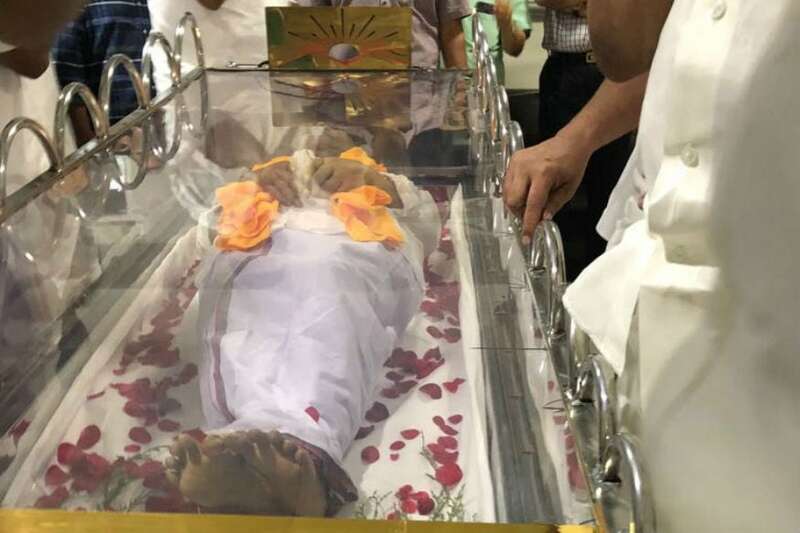 Karunanidhi’s Mortal Remains in Rajaji Hall | Some supporters have managed to enter Rajaji Hall after climbing up the compound hall. DMK supporters celebrate following Madras High Court’s verdict to allow the burial of former CM M #Karunanidhi at Chennai’s Marina beach. 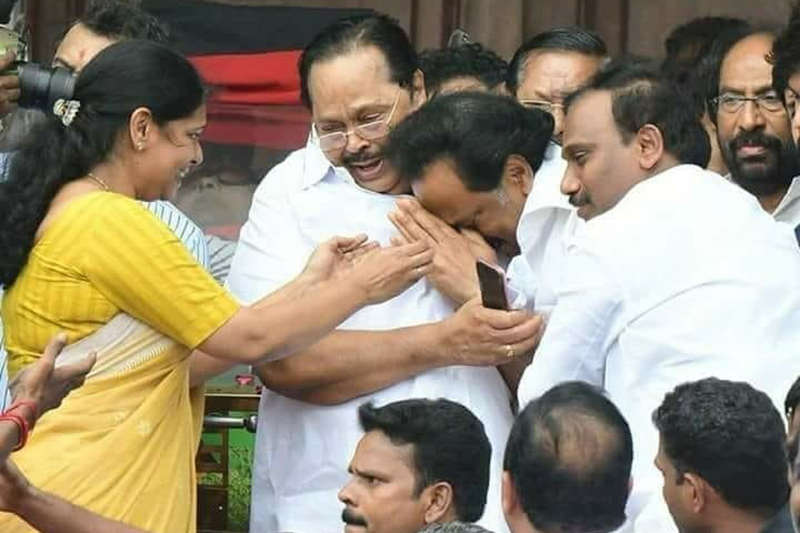 MK Stalin breaks down after Madras High Court’s verdict to allow the burial of former CM M Karunanidhi at Chennai’s Marina beach. Tamil Nadu: MK Stalin breaks down after Madras High Court’s verdict to allow the burial of former CM M #Karunanidhi at Chennai’s Marina beach. Former General Secretary of CPI(M), Prakash Karat, pays respects to Karunanidhi at Chennai’s Rajaji Hall. A man tries to climb the compound wall of Rajaji Hall in Chennai as police tries to bring him down. 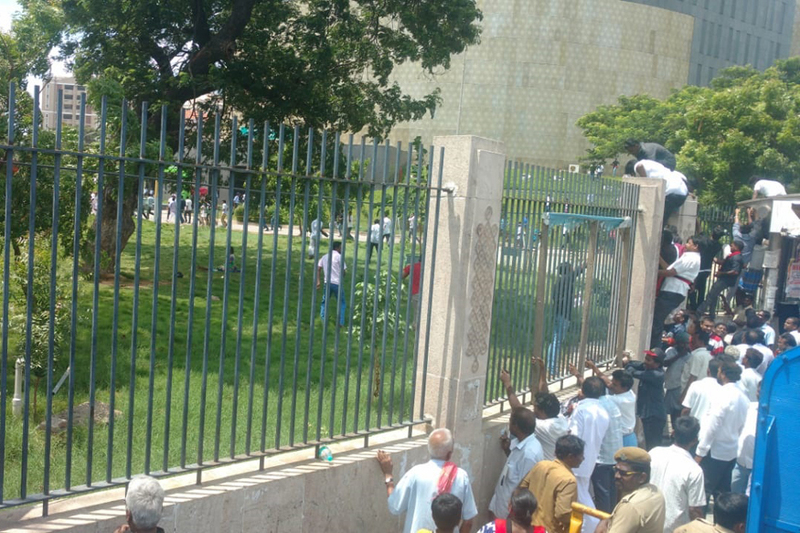 Unruly Crowd Try to Climb Rajaji Hall Compound Wall | Crowds outside Rajaji Hall has gone berserk. 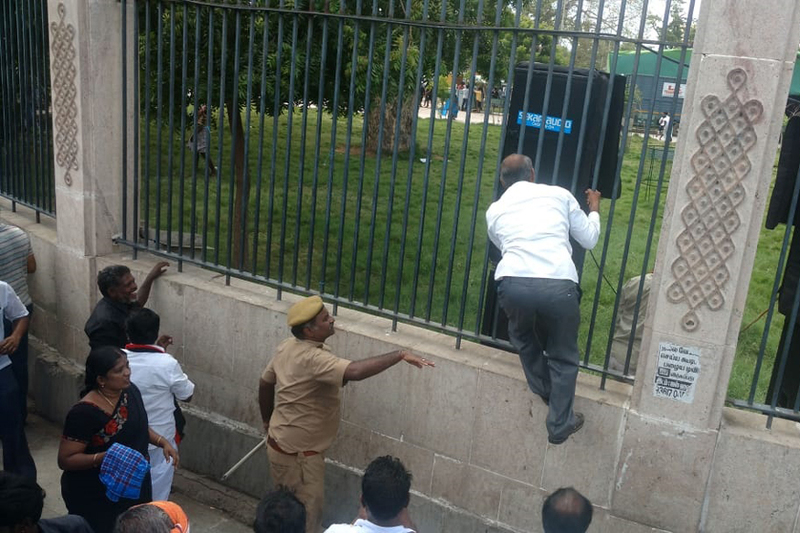 After breaking barricades, they are now climbing the compound walls to enter the area where mortal remains of Karunanidhi are kept. Parliament to be Adjourned After Paying Tributes to Karunanidhi | Senior political editor of CNN-News18 Pallavi Ghosh reports that Lok Sabha and Rajya Sabha will be adjourned today after paying tribute to Karunanidhi. Subramanian Swamy defends EPS-OPS on Karunanidhi Burial Row | “AIADMK was sticking to the circular it issued. It was Karunanidhi who had issued the circular issued initially to not have anymore burials at Marina,” says BJP leader Subramanian Swamy, adding that the Madras High Court has taken into consideration the people’s sentiment. 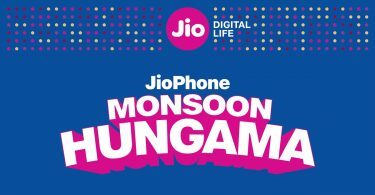 New Delhi: The senior BJP MP and former union minister Dr Subramanian Swamy and the DMK patriarch M Karunanidhi had shared a stormy relationship. Karunanidhi supporters outside Rajaji Hall welcome Madras High Court order, allowing the late leader to be buried at Marina Beach, next to his mentor Annadurai. Karunanidhi to be Buried at Marina Beach | Madras High Court allows Karunanidhi’s body to be buried at Marina Beach. Stalin breaks down outside Rajaji Hall on receiving the news, while Karunanidhi supporters raise slogans amid high court relief. A Raja and Kanimozhi also have tears in their eyes. In its counter affidavit, the Tamil Nadu government has also cited that all three leaders buried at Marina – Annadurai, MGR and Jayalalithaa – were sitting CMs at the time of death. Karunanidhi’s Family Tree | Another Twitter user posts the family tree of late M Karunanidhi created by News18. Karunanidhi supporters tweet demanding former DMK chief be rested in peace at Marina Beach. Secretary-General of the Marumalarchi Dravida Munnetra Kazhagam (MDMK) Vaiko is inside Rajaji Hall to pay respects to Karunanidhi. Actors Vishal, Nandha and Suhasini Maniratnam also paid tributes to the veteran leader. PM Narendra Modi arrives in Chennai to pay last respects to DMK chief M Karunandhi. #TamilNadu: PM Narendra Modi arrives in Chennai to pay last respects to DMK chief M #Karunandhi. 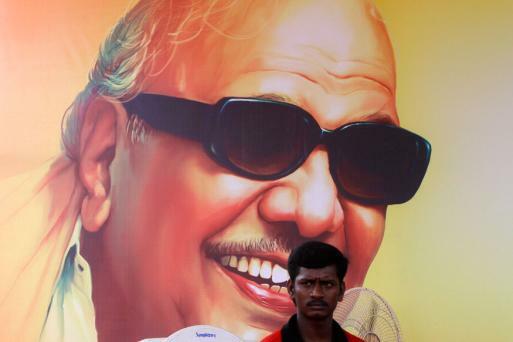 A Twitter user lists ‘achievements’ of late Tamil Nadu chief minister M Karunanidhi. Karunandhi supporters outside Rajaji Hall breach barricades. More than 25,000 people are present there. PM Arrives in Chennai | Prime Minister Narendra Modi arrives at Chennai Airport to pay last respects to late Tamil Nadu chief minister M Karunanidhi. Madras High Court on Karunanidhi’s Burial Place | Arguments over in Madras High Court. Acting Chief Justice begins dictating orders in DMK RS Bharathi’s plea for place for Karunanidhi in Marina. Traffic Affected As Karunanidhi Supporters Throng Rajaji Hall | The roads leading to Rajaji Salai, namely Deputy Mayor Kabalamurthy Road, Swami Sivananda Salai, Walajah Road, and Pallavan Salai have been closed to traffic, reports The Hindu. 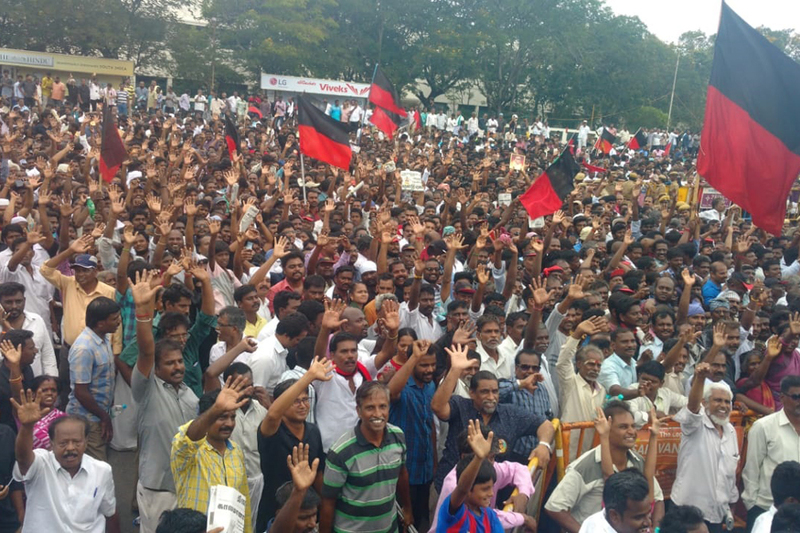 The DMK supporters were seen ferrying people from Chennai Central railway station to Rajaji Hall. The Chennai suburban trains and Metro continue to ply, but MTC buses have reduced their services. Sri Sri Ravi Shankar on Karunanidhi’s Demise | Spiritual guru and Art of Living founder Sri Sri Ravi Shankar also pays condolences to Karunanidhi (Kalaignar). “A political poet with a sense of humour, Karunanidhi played a unique role in Tamil politics. He cared for his people and kept them together through difficult times,” Shankar says. AR Rahman on Karunanidhi’s Death | Oscar-winning composer AR Rahman pays condolences. 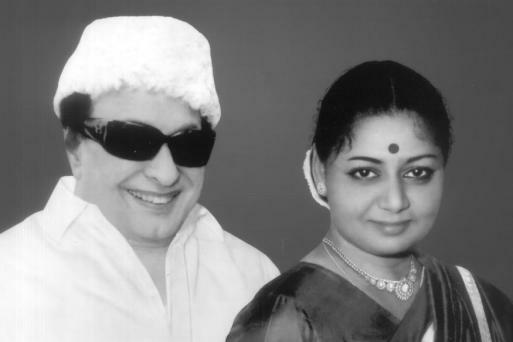 “You may have left this earth but your infectious passion and love for Tamizh will stay and reflect with us forever…Deep Respect,” he says on Karunanidhi’s demise. Family member of Karunanidhi have not approached the Madras High Court, Justice SS Sundar points out to senior counsel P Wilson of DMK. Akhilesh Yadav Leaves for Chennai | Former Chief Minister of Uttar Pradesh and Samajwadi Party president Akhilesh Yadav leaves for Chennai to pay last respects to late Tamil Nadu CM M Karunanidhi. 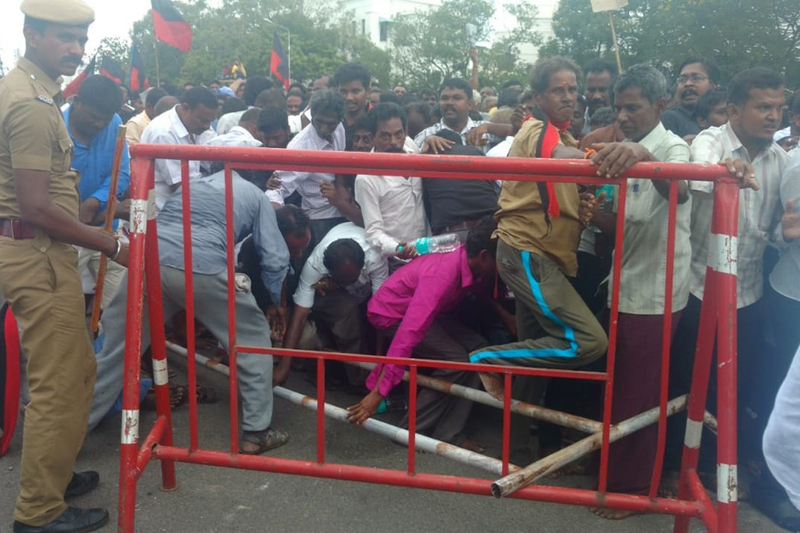 Crowd Breaks Barricades Outside Rajaji Hall | Supporters outside Rajaji Hall, where mortal remains of Karunanidhi are kept, are creating ruckus. The crowd has broken barricades. Police use mild force to send them back. RAF at Marina Beach | Rapid Action Force has been deployed outside Anna memorial at Marina beach in Chennai. Hearing in the case against denial of burial land by Tamil Nadu Governemnt at Marina beach for M Karunanidhi is underway at Madras High Court. Tamil Nadu: Rapid Action Force has been deployed outside Anna memorial at Marina beach in Chennai. Hearing in the case against denial of burial land by Tamil Nadu Govt at Marina beach for M #Karunanidhi is underway at Madras High Court. Following Karunanidhi’s demise, a controversy erupted after the Tamil Nadu government turned down DMK’s request to allot space for the former chief minister’s burial near party founder CN Annadurai’s memorial at the iconic Marina Beach. Meanwhile, lawyer of Traffic Ramaswamy said, “We have no objection to the burial land for Karunanidhi.” Ramaswamy is one of the five petitioners who had filed a public interest litigation against building memorials at the Marina beach. While four others have already withdrawn their petition, Ramaswamy’s PIL is still pending before the high court. The acting Chief Justice responded to the lawyer, saying, “Withdraw your case,” reported ANI.